The process is administered by the Civil Aviation Authority which has also launched its own investigation into the matter. SAA has laid criminal charges against him and they want to recover millions of rands paid to the pilot. After encountering an atmospheric disturbance at high altitude over the Swiss Alps, the flight was put into an over-speed condition. SAA says a recovery manoeuvre was performed to regain stable flying conditions. The aircraft landed safely in Frankfurt without any injuries or damage. During its investigation, SAA says it discovered that one of its pilots – a Senior First Officer had lied about his license. The airline says it’s now taking steps to recover the money unduly paid to him – this includes salary, overtime and allowances worth millions of rands. It’s also reported that the pilot opted not to be promoted to the rank of captain in 2005, as he would have had to submit his certification. 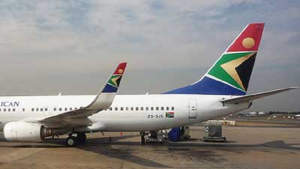 The South African Civil Aviation Authority says it’s investigating the matter and the investigation is not only for safety reasons, but to ensure that the prestige attached to a South African-issued aviation licence remains intact. The CAA’s Phindiwe Gwebu says they are working with the operator and their international counterparts to establish how this was allowed to occur. Gwebu says they believe it was an isolated incident. “In terms of the information we have received the pilot has been using an airline transport license. The pilot, in terms of our records, is in possession of a commercial pilot licence. There’s serious safety implications should this be true. “In terms of our regulations we have to take punitive action against whoever has contravened our regulations. His license will be revoked. We might also issue a financial penalty but we regards this as fraud and therefore we are going to refer this to the south African police service,” says Gwebu. The post SAA begins process of verifying credentials of its pilots appeared first on SABC News – Breaking news, special reports, world, business, sport coverage of all South African current events. Africa's news leader..